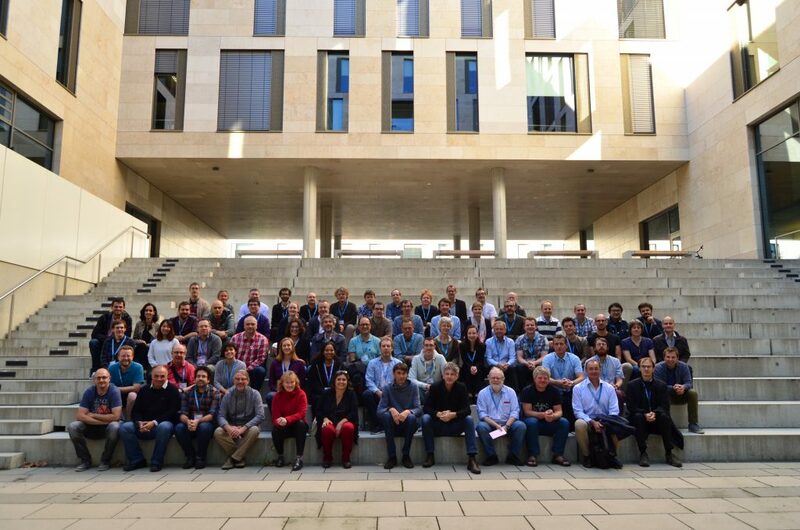 The 4MOST All Hands Meeting 2018 took place in Heidelberg on 24 – 28 September 2018. The meeting was hosted by the 4MOST team from the Max-Planck Institute for Astronomy and took place at Heidelberg University’s Mathematikon. This fourth annual ‘All Hands Meeting’ of the 4MOST consortium brought together consortium members working to define, construct, operate and scientifically exploit the 4MOST Facility. This included the engineers, managers and scientists responsible for the delivery of the 4MOST Facility, the scientists planning the science operations in the infrastructure working groups, and the scientists from the large number of institutes involved in defining the ground-breaking consortium science surveys. Also, Katryn Kreckel provided some context for the meeting by giving us a wonderful overview of the SDSS V survey. A particular focus of the meeting was on the planning of activities leading up to FDR2 and the Call for Proposals Readiness Review. Good progress was made in many areas of science operations planning, in particular on the survey strategy, while the Surveys discussed their target catalogues and White Papers. The meeting’s programme can be found here.